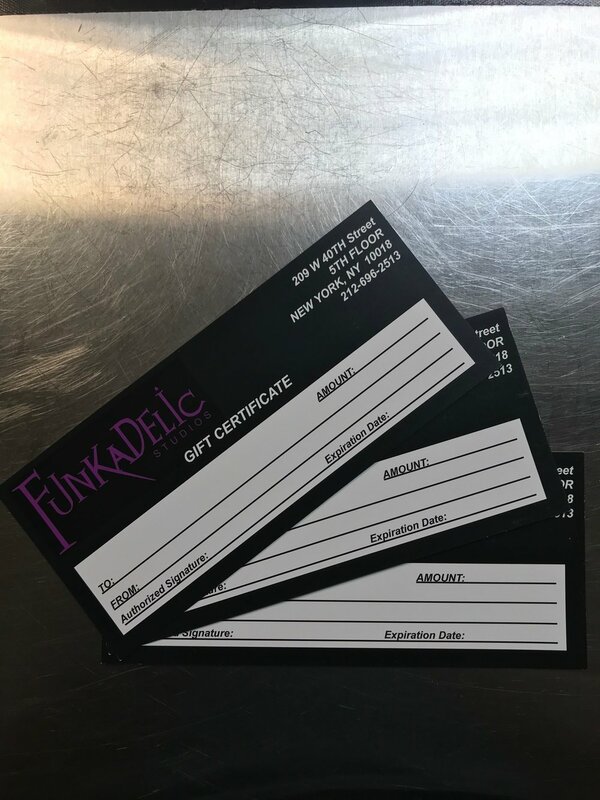 Gift Certificates are a fantastic gift idea for any musician. They can be purchased for any amount and can be used for any service provided by Funkadelic Studios. They can be purchased over the phone or in person. Please call the studio for details (212) 696-2513.